Integrity – Value – Dedication These words are the lifeblood of Elegant Custom Images and reflect the way we do business and the way we treat our customers. For the past decade, we have designed, installed and maintained outdoor landscape lighting fixtures for homes and businesses in Orlando, Winter Park, Windermere and throughout Central Florida. At Elegant Custom Images, we install trouble-free systems that provide beauty and security for your home. We use only high quality materials, such as bronze, heavy cast and milled brass fixtures that come with a 25-year warranty. Plus, our wiring methods eliminate the effects of voltage drop. As a result, we can provide our customers with a lifetime of enjoyment from their outdoor lighting. 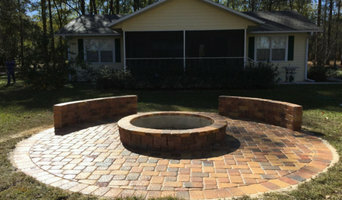 Central Florida Landscaping And Maintenance, Inc.
Illumination of landscape, architecture and outdoor living spaces. 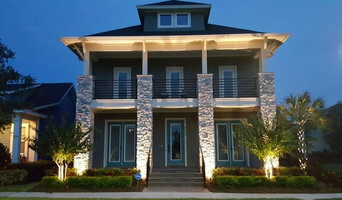 Premium Outdoor Lighting in the Orlando Area | 5X Best of Houzz! 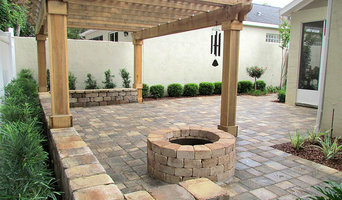 Commercial and Residential Custom Landscape Design and Installation, Lawn Service & Maintenance, Irrigation, Outdoor Lighting, Pavers, Outdoor Kitchen and Firepits, Specialty Garden Trellis and Water Features. The full landscape installation provider. Irrigation, sod, design, planting, and lighting are the components VUE Outdoors excels at providing added value to your home. Creating a higher echelon far above industry standard with a compassionate touch is how VUE operates. An amazing audio/video development company based out of Orlando, FL. We create beautiful video walls and large audio video systems. We have been lucky to work with some amazing clients around the country including Loews Hotels, The Ritz Carlton, Intercontinental Hotel & many more. Landscaping has fascinated B&L Lawn Service founder Rafael Benitez as long as he can remember, he always loved working outdoors and creating beautiful lawns. When Rafael moved to Florida from New Jersey 18 years ago, he always dreamed that one day he could start his own landscaping company. In 2013 with the help of good friend and brother in Christ, David Landin, B&L Lawn Service was formed and his dream became a reality. At B&L Lawn Service the customer is always given the best quality work at the best possible price. At Premier Outdoors Landscape & Design, we are aware that anyone can put a lawnmower on a trailer and call themselves a "landscaper." We know we are more than that, and more importantly, that our work is distinctive, beautiful, and has style. We have designed and maintained many of the finest residential and commercial landscape jobs in and around the Orlando Area. If you’re looking for a landscape company with experience, creativity and integrity, look no further than Premier Outdoors Landscape & Design. We strive to be the best in the Pest control industry through Quality Service, Honesty, and Integrity. Simply put, we are the best at what we do. 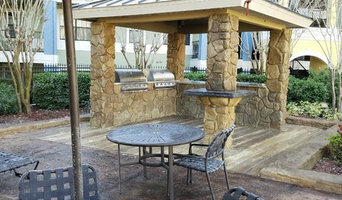 Our passion for transforming your outdoor area will ensure you absolutely love your new extended living space. Here’s six things you’ll receive with your purchase of an Illuminated Impressions lighting system: 1. The latest and most reliable in LED technology. No matter your budget, we guarantee premium low-voltage LED fixtures and equipment. LED lights use energy efficiently, and we can walk you through the process of how they fit into your new installation. 2. A lighting plan designed specifically for you. Your yard is a canvas for landscape lighting. What makes our client’s properties stand out is our designs. We select specific plant material to light and the right type of fixture to light it. We carefully select the proper color temperature bulb for that plant, and then we set it to the precise intensity. This allows us to create a warm, inviting glow, adding safety while making sure you can always see the effect -- not where the light is coming from. 3. Perfection. Our project includes night checks, light placement and intensity adjustments until the job is absolutely perfect. 4. Warranty. We include a lifetime warranty on select fixtures and a manufacturer warranty on all other fixtures. 5. Premium installation equipment. Not only are our fixtures premium, but every part of your new system will use top-of-the-line equipment. Using marine grade cable, as well as press fitted tin-coated connectors lined the latest in liquid gasket technology, keeping moisture from infiltrating into the electrical components. This state-of-the-art wiring prevents discoloration of the lights and other damage to your system. 6.Most importantly, your satisfaction. You and your guests will find your outdoor living area exceptional, and that’s our promise here at Illuminated Impressions. From Pavers to Landscape Lighting, and everything in between, Outdoor Brothers are the one stop shop for all of your outdoor needs! WE'RE EASY TO GET A LAWN WITH! Our quality, honesty, & over 20 years experience put us a notch above the rest. Why should I hire an Orlando, FL gardener or landscaper? Even if you do have a few green fingers yourself, gardeners in Orlando, FL will have the experience and training to carry out larger landscaping projects and will have the eye for what works best where and when in your garden. They may work with a landscape designer or architect who will put together the plans that they then execute, or they may do this work themselves. If you’re looking for an Orlando, FL landscape architect, or perhaps you want to select your own garden supplies yourself, then you can find the right professionals for this on Houzz, too. Here are some related professionals and vendors to complement the work of landscape contractors: Landscape Architects & Garden Designers, Garden & Landscape Supplies, Stone, Paving & Concrete, Tree Services. Once the plants have been chosen, planted or potted, and the lawn or patio laid, then your garden will be ready to enjoy, but never completely finished. Like all living things, your garden will grow and change with time and the seasons, so it will need a bit of TLC and garden maintenance from time to time. This is when you may want to hire Orlando, FL gardeners again, especially if you have a very large garden or landscaped area that needs constant upkeep. Hire Orlando, FL gardeners to water, weed and prune your plants, keep the lawn trim and green, and cut back any over growing trees. Some Orlando gardeners may source their own garden supplies, while with others you may have to do this yourself. Find landscapers or gardeners on Houzz. 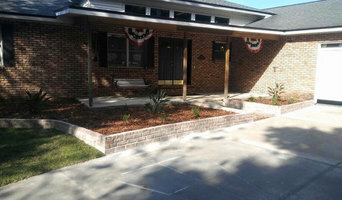 Narrow your search in the Professionals section of the website to Orlando, FL gardeners and landscape contractors. You can also look through photos of Orlando, FL landscapes and gardens to find one you like, then contact the Orlando, FL gardener who worked on it.